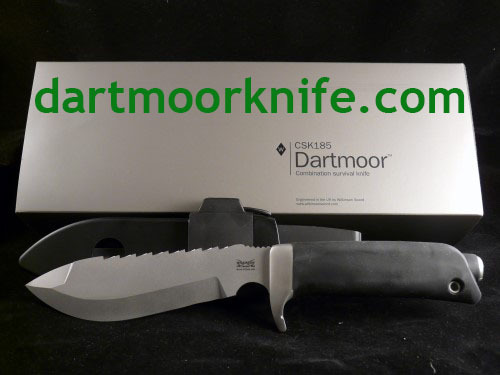 Your special numbered edition of the Wilkinson Sword CSK185 Dartmoor Knife is in the grey satin, bead-blasted finish. It comes fitted and ready to go, in original box, complete with all original accessories. 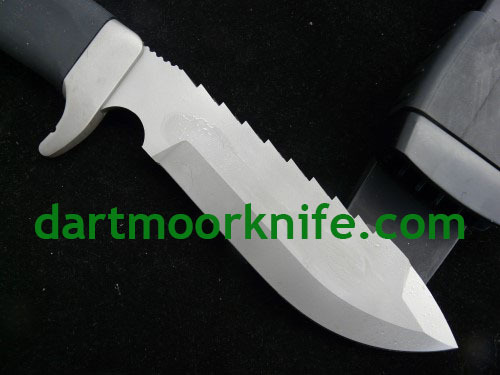 Only the first 500 Dartmoor Knives were numbered. 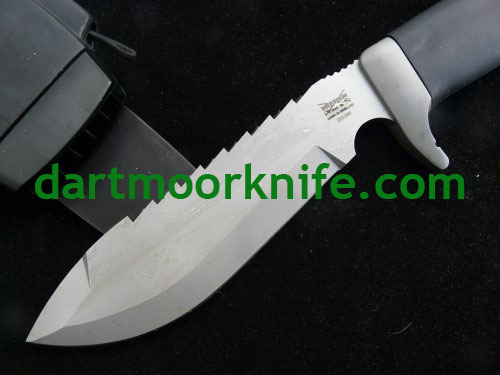 They sold out shortly after release and now, 10 years on, are very rarely seen on the market. 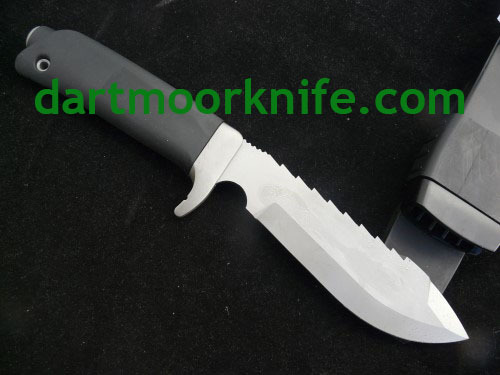 Your Dartmoor Knife package comprises Handle with fitted Lanyard Rivet and Wilkinson Sword ‘W’ laser-engraved Pommel Locking Nut, Scabbard, Belt Hanger with fitted Shock Cord, Survival Kit Tube with fitted Button Compass and complete contents (Metal Match, Brass Wire (Coiled), Needle (Darning), Needle (Sailmaker), Fishing Kit (line, 4 swivels, 4 weights, 4 hooks), Scalpel Blade, Plastic Storage Bag), and 24-page Official Handbook in original Sleeve. 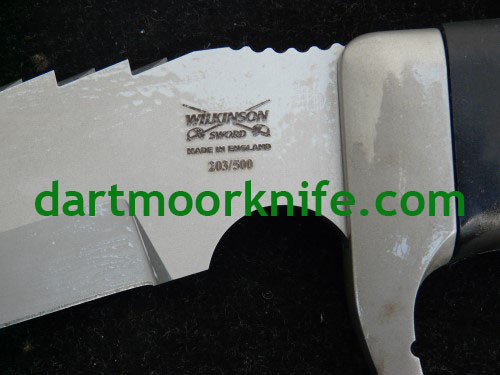 All contents are in original Wilkinson Sword Box Sleeve with Foam Inserts. 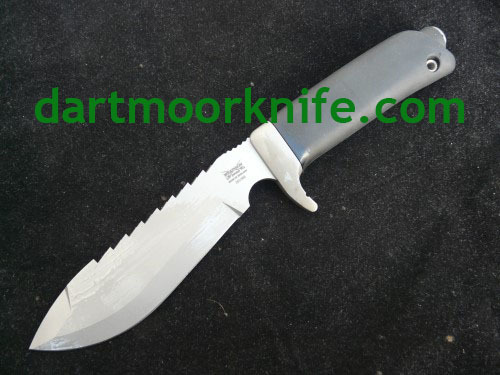 This rare numbered version has never been sharpened since it left the factory or used in any way.